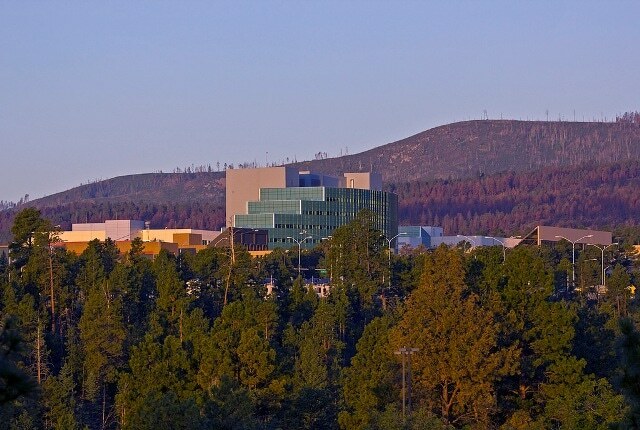 Two Los Alamos National Laboratory projects are among technologies supported in today’s U.S. Department of Energy (DOE) announcement of nearly $16 million in funding to help businesses move promising energy technologies from DOE’s National Laboratories to the marketplace. This first department-wide round of funding through the Technology Commercialization Fund (TCF) will support 54 projects at 12 national labs involving 52 private-sector partners. The TCF is administered by DOE’s Office of Technology Transitions (OTT), which works to expand the commercial impact of DOE’s portfolio of research, development, demonstration and deployment activities. All projects selected for the TCF will receive an equal amount of non-federal funds to match the federal investment. “The great work at the national labs and across DOE’s program make the Department one of the largest supporters of technology transfer within the federal government” said Jetta Wong, Director of the Office of Technology Transitions. Efficient Groundwater Restoration at Uranium In-Situ Recovery Sites to Enable Domestic Uranium Production for Nuclear Energy, $700,000, with Cameco Resources, Inc. Casper, WY. The objective of this project is to demonstrate an efficient method of groundwater restoration at uranium in-situ recovery (ISR) sites by combining the use of tracers, groundwater chemistry adjustment and the phased addition of both chemical reductants and biostimulants to synergistically provide effective and longer-lasting restoration. ISR is an economical and environmentally friendly method of mining uranium in which oxygen and carbon dioxide (or sodium bicarbonate) are injected into an ore zone aquifer to oxidize and solubilize the uranium, and then the uranium-rich water is pumped to the surface to extract the uranium by ion exchange. The proposed restoration technology brings together several relatively mature technologies in an unprecedented way. FracMan/dfnWorks: From Geological Fracture Characterization to Multiphase Subsurface Flow and Transport Simulation, $150,000, with Golder Associates, Inc., Redmond, WA. This project proposes to integrate the commercial discrete fracture network (DFN) characterization and modeling tool FracMan with the dfnWorks state of the art DFN flow and transport simulator to create an improved end-to-end tool for modeling the performance of fractured rock masses. It demonstrates the feasibility of improving the commercialization of the DFN approach, combining FracMan’s proven, geologically and geomechanically based, data driven analyses with the next-generation computational power of dfnWorks. Data sources include fracture image logs, geological mapping and interpretation, 2-D, 3-D, and 4-D seismic processing, and hydrodynamic, geomechanical, geochemical, and tracer testing. Fractured rock issues are important in national priorities, which include environmental protection, resource development, infrastructure development and seismic risk. Extensive geothermal energy resources remain untapped due to inability to locate, predict and sustain engineered fracture flows. CO2 sequestration remains a challenge dependent upon confirming that injected CO2 will remain in the subsurface rather than leak through fractures to the surface. High-level nuclear waste disposal is confronted with the need to quantify long-term radionuclide transport pathways and retention in networks of natural fractures. All these applications involve rock masses where fractures are the primary conduits of flow and transport, but there is significant geomechanical and hydrodynamic interaction with the rock matrix.